30 minute Bhaturey dough - CHOMP! SLURRP! BURP! With a weather like this, it is pretty obvious to have some insane cravings. 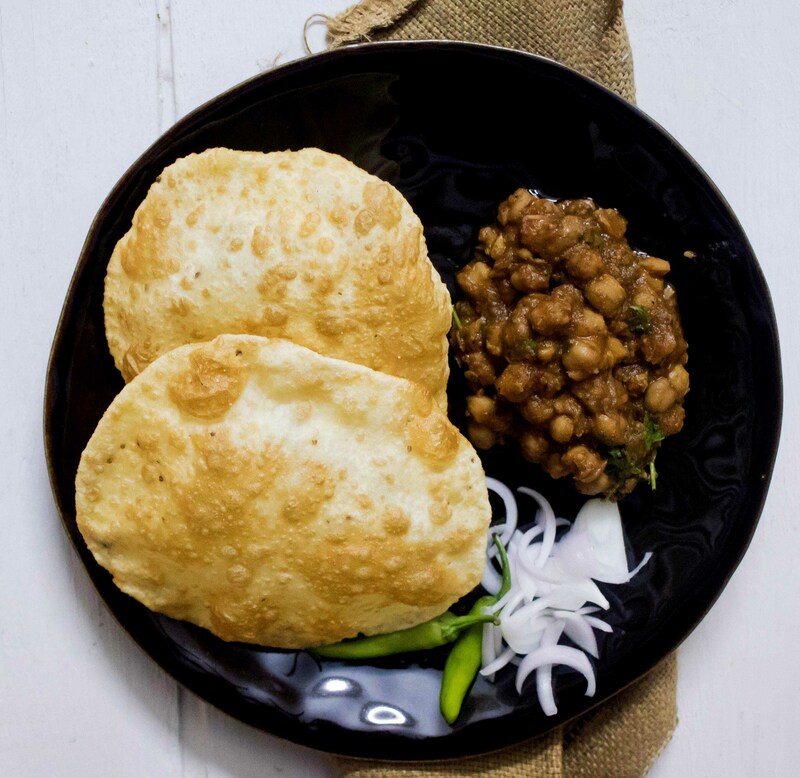 Choley Bhaturey is one thing that I mostly crave for when there are leftovers of the latter in the fridge. But the problem is the dough of course, which needs overnight fermentation. So, mom to the rescue – obviously. Bhaturey dough within thirty minutes so you do not have to ignore your cravings this monsoon season. Sieve maida and semolina. Add salt and mix well. Add soda and knead the dough, keep it aside for half an hour. Heat the oil in a pan, roll the bhatura with rolling pin and fry. Serve hot with Choley, onion, and pickle.